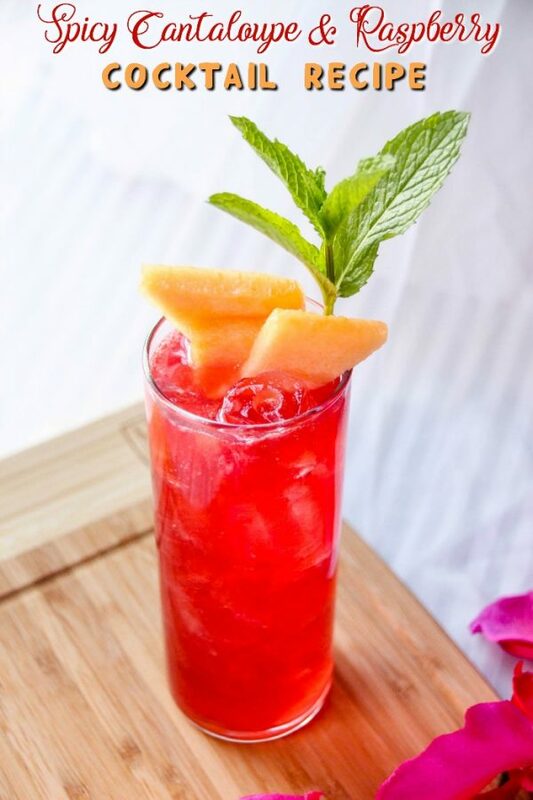 If your tastebuds are bored, one sip of this spicy cantaloupe and raspberry cocktail recipe ought to wake them up in a jiffy. This is not your average raspberry cocktail recipe. The bold flavors marry well to create a flavor explosion. 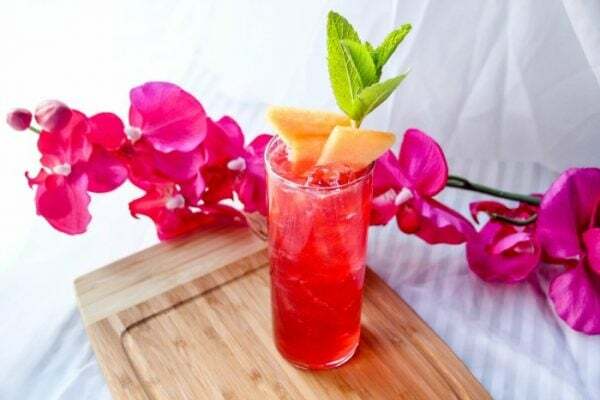 This raspberry cocktail recipe is intended for adults 21 and older only who drink responsibly. Post contains affiliate links. If you ask me, cantaloupe is completely underrated. The delicious melon is not used nearly enough in recipes or cocktails. Let’s change that, shall we. For cocktail lovers with adventurous palates, here’s a medley of flavors to mix things up a bit. The melon is refreshing, the raspberry is sweet, the grapefruit juice is tart, the vodka is spicy, and the rum is warm and citrusy. It’s like all the feels that you just must experience for yourself. In a cocktail shaker add Captain Morgan Cannon Blast Rum, Svedka Grapefruit Jalapeño Vodka, raspberry simple syrup, fresh squeezed Ruby Red grapefruit juice, and lots of ice. Secure the lid on the cocktail shaker and shake as long as the summer days are long (that’s 30 seconds in a galaxy far, far away). Strain into a Mojito-style glass filled with ice. Garnish with slices of fresh, sweet cantaloupe. 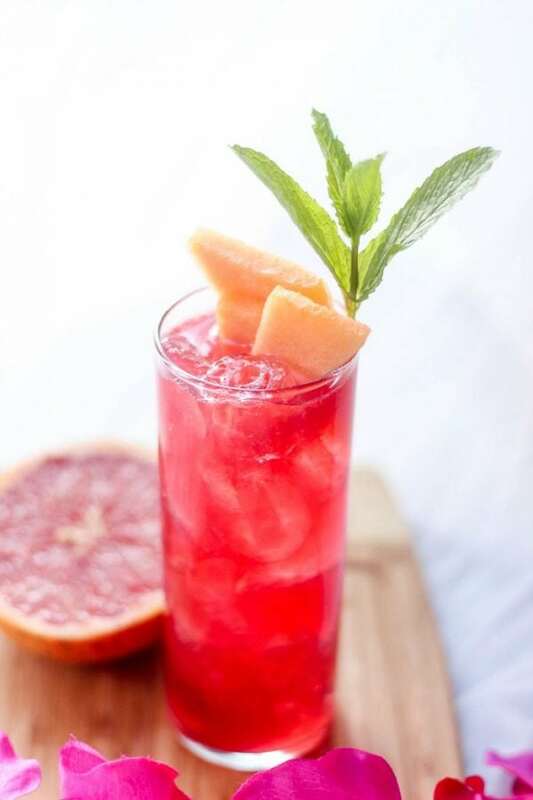 Everything about this cantaloupe and raspberry cocktail recipe is exciting. The flavors are intense, and the colors are bright. Give it a try during your next gathering or celebration. 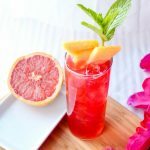 Spice up cocktail night with this sweet and sassy drink. Rum lovers, give this recipe a try. Secure the lid on the cocktail shaker and shake as long as the summer days are long (that's 30 seconds in a galaxy far, far away). 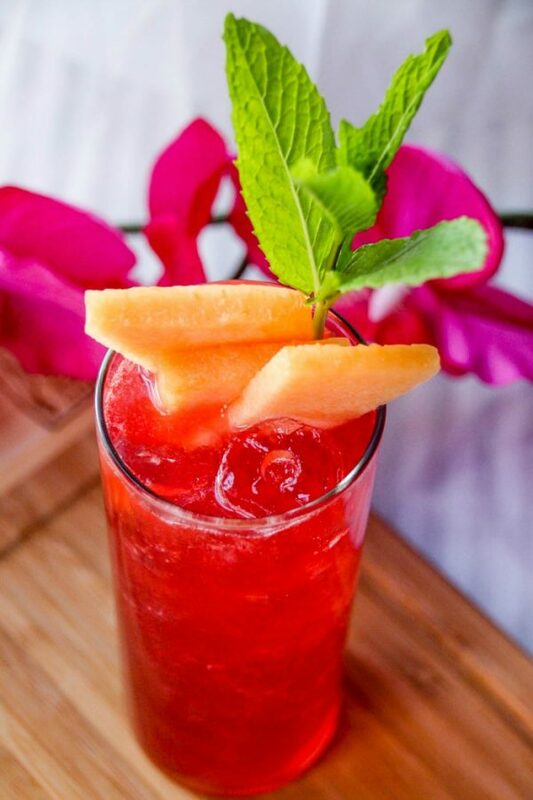 Do you think you would like this spicy cantaloupe and raspberry cocktail recipe? My tastebuds would be extremely happy with this! 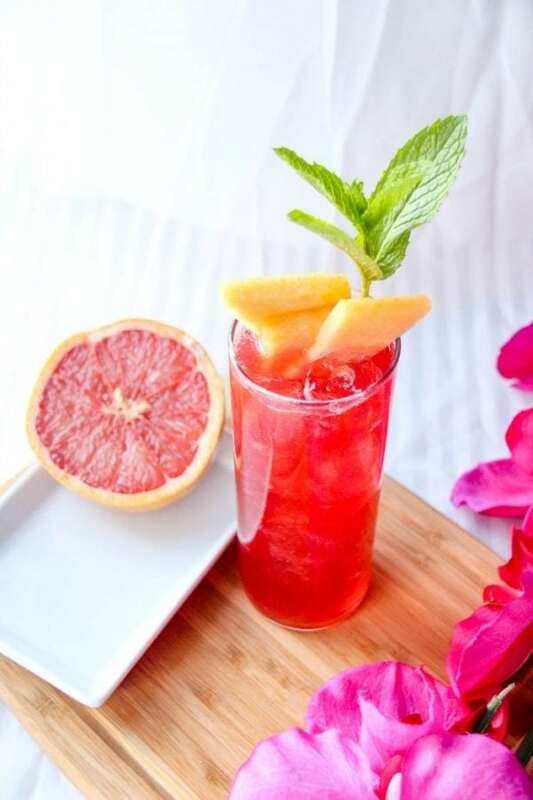 This looks like a refreshing drink for summer! Thanks for sharing at Merry Monday!